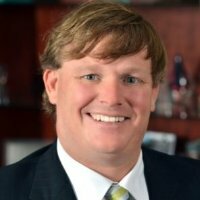 Parkes Owen joined Fridrich, Pinson, and Associates in 2015 as a property/casualty consultant and advisor with 10 years experience. His vast knowledge of the insurance industry enables him to assist customers to better analyze their risk management portfolio in order to tailor specialized programs and procedures to reduce cost long term. His experience allows him to serve many market segments from small businesses with traditional insurance needs to clients with multiple locations and complex risk profiles. Prior to joining the FPA team, Parkes had vast experience in tailoring insurance, risk management, and Captive programs in the energy sector. This understanding enabled him to provide differentiated safety and loss prevention solutions and claims management services for this sector. Parkes also has extensive experience providing insurance and risk management services to a wide variety of clients in the construction industry. Parkes served on the board of the Next Generation Committee of the Tennessee Fuel and Convenience Store Association. He also served on the Elite Broker Committee for Energi Insurance, chaired the STARS golf tournament Committee, serves on the Cumberland Heights Advisory Board, served on the Westminster School Board, and is a past board member of the Insurors of Nashville where he served as Treasurer and chaired the golf tournament for Tom Joy School.